A workshop for engineers, consultants, designers, & landscape architects interested in incorporating green infrastructure and living shoreline techniques into coastal projects. Registration Space is limited. Registration is required. $25 registration fee to cover lunch and field trip transportation costs. Professional Development credits are available. 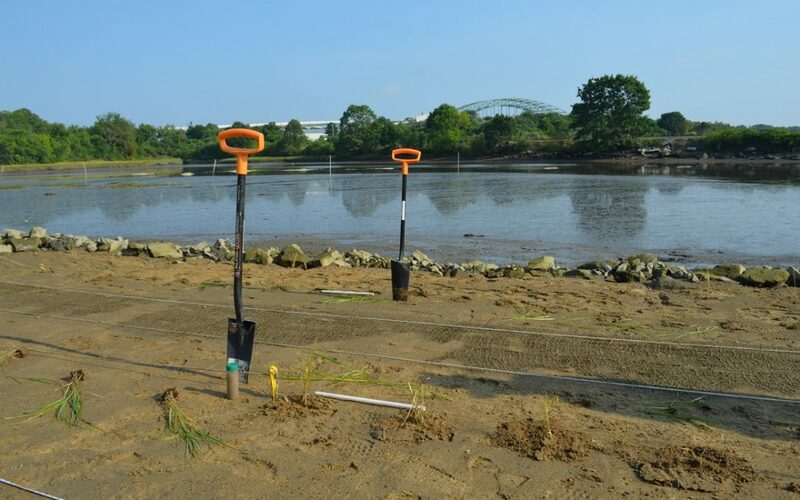 Living shoreline projects have started to appear in many New England tidal environments, but the Northeast region lags behind the Mid-Atlantic and Gulf Coast states when it comes to implementation of living shoreline stabilization projects. Through research and pilot projects, siting and designing living shoreline stabilization projects in different Northeastern coastal environments is becoming easier. Sign up for this workshop to learn about the latest guidance as well as lessons learned from ongoing pilot projects in coastal New Hampshire. The workshop includes a field trip visit to Portsmouth’s newest living shoreline site at Cutts Cove and discussion with the designers of that project. Living shorelines (LS) definitions and status of projects in NH. Beyond the Basics: Local examples of LS; functions and values; specifications and guidance on siting LS; and the regulatory landscape. Field site visit to a LS under construction. Learn beyond the basics about LS approaches for tidal erosion control, habitat restoration and enhancement, and flood mitigation. Understand differences between LS stabilization and traditional, hard shoreline stabilization. Obtain tools and strategies for executing a successful LS project. Identify challenges and next steps to encourage design and implementation of LS projects on public and private properties. This workshop is hosted by the Northeast Regional Resilience & Living Shoreline Project with funds from the NOAA Office for Coastal Management. Partner organizations include the Great Bay National Estuarine Research Reserve and the Great Bay Stewards, the NHDES Coastal Program, and the University of New Hampshire. Space is limited, so reserve your seat today! Stay tuned for more details about the agenda and speakers.